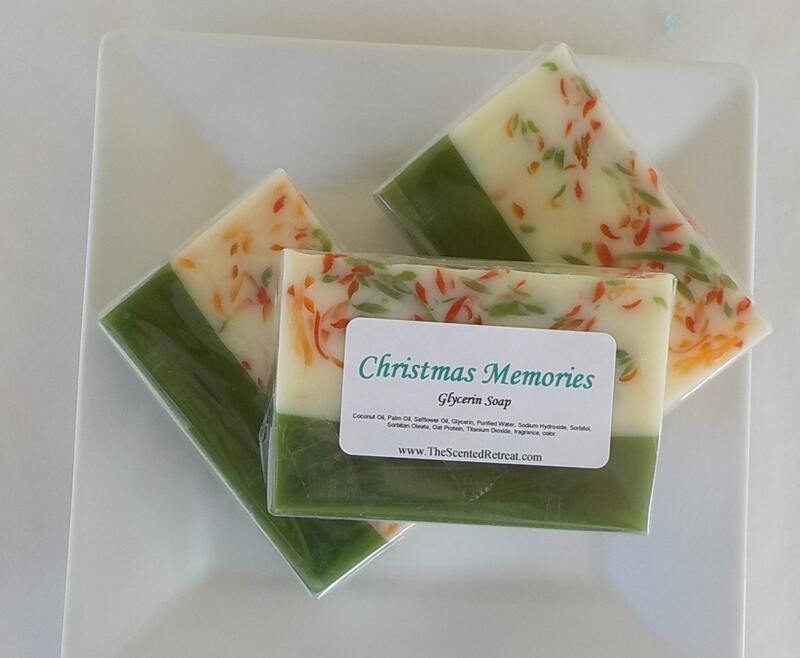 Christmas memories soap is a great combination of orange, cranberry, with a touch of cinnamon and clove and base notes of evergreen and pinecones. One bar 4.5 to 5 oz This soap will have a tendency to change color and darken over time. We do combine shipping and refunds of $1 or more will be refunded once your order is shipped.